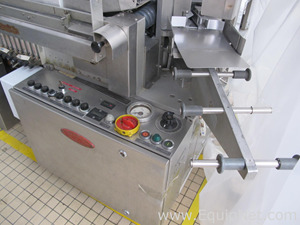 EquipNet is the world’s leading provider of used ampoule filling lines and many other preowned equipment. Our exclusive contracts with our clients yield a wide range of used ampoule filling lines equipment from a number of respected OEMS, including Bausch and Strobel, Bosch, CIMA, and many others. We are constantly receiving ampoule filling lines in several sizes and capacities. If you don’t see the used ampoule filling lines you’re looking for, call one of our representatives and we’ll find it for you. We can also source the right tooling and change parts that you need through our huge network of corporate clients from around the globe. Bausch and Strobel is one of the worlds leading manufacturing companies for the pharmaceutical, cosmetic and allied industries. Their ampoule filling lines range from fully automatic motion rotary machines for medium capacity, fully automatic, continuous-motion rotary machines for medium capacity, and fully automatic continuous/intermittent-motion linear machines for high capacity. Bausch and Strobel also provide various product dosing systems such as valveless rotary piston pumps and time/pressure dosing systems. Equipnet has a vast inventory of Bausch and Strobel equipment and more.